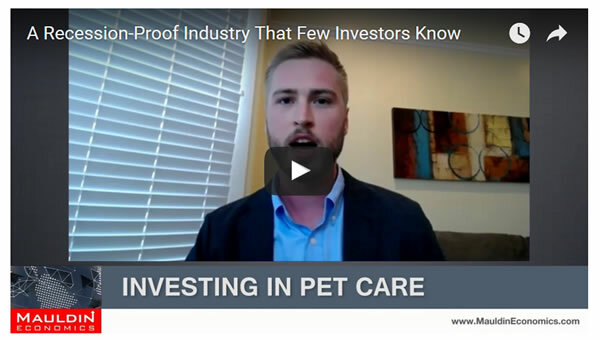 He also points to the recent buyout of VCA, the largest public vet services firm, as a harbinger of good things to come for several firms in the pet care industry. Ross begins his case for the pet care industry by pointing out how several demographic trends are likely to increase pet ownership in the next few years. The greying of the baby boomers has been discussed for some time. It seems that many baby boomers have added pets to replace the children that have moved out of their households. A low overall fertility rate in the US also means more one-and no-children households. These smaller families tend to have a higher rate of pet ownership. Also note that US fertility rates dropped off even more after the Great Recession in 2008 as financial problems meant young people did not start families. By the same token, consumers have spent more money on pets every year for almost three decades, and there’s no reason to expect that trend to end soon. Recent data from the American Pet Products Association show that the total amount spent on pets by Americans has grown from $17 billion in 1994 to almost $63 billion in 2016. Ross also highlights VCA as an earlier stock pick in the pet care segment that was acquired by Mars, Inc. in January 2017 for $7.7 billion. The $93 a share buyout price was a 31% premium to the stock price before the merger. In discussing VCA, Ross points out that revenues at the firm have increased for 25 consecutive years. 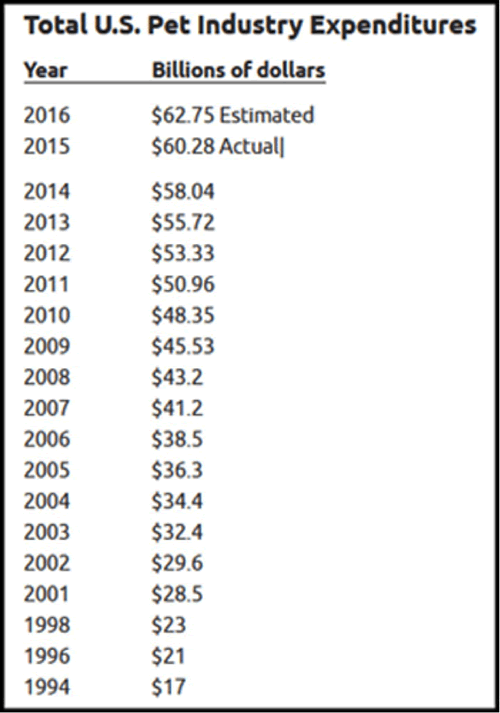 This kind of consistency in all economic conditions is very rare and reflects the exceptional strength of the industry. As Ross warns, every recession is unique and the pet care segment may suffer like most industries during the next downturn. 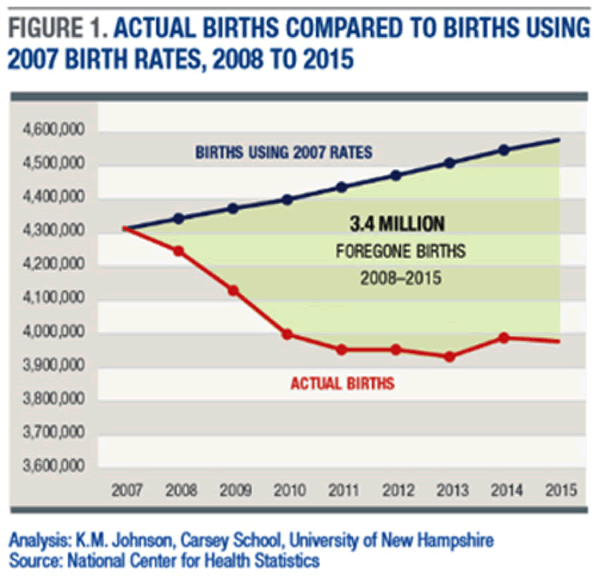 That said, the demographic trends are strong and the historical data are unequivocal. People are clearly willing to pay pet expenses even in hard times, and there’s no reason to expect that to change in the next recession. Watch the full interview (4:18) below or on the Mauldin Economics site.